Judging by the letters to the Shoreham Herald last week, the subject of housing and the land on which to build it is a subject of great concern. The old civic centre land, Cecil Norris House and Pond Road are sites which have become available for development. Servicemen and women like Cecil Norris (letters, last week) returned after the Second World War to a shortage of homes and today there is again a shortfall in available and affordable housing. Most of us are moved by the plight of those who are either homeless, ‘sofa surfing’ or living in unsuitable conditions, often with children. However, we should not let our emotional reaction to the subject cloud our judgement on what is appropriate development or not; we should hold our elected representatives to account and expect that their judgements are based on the careful study of facts and well-reasoned argument: this is democracy at work. We have already seen judgements which appear questionable; a huge housing estate is to be built on a flood plain next to an arterial road, already at a virtual standstill at times of the day, and now it appears that the large civic centre site is to be marketed rather than used for social housing. 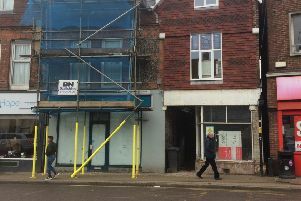 On February 11, the members of the Adur planning committee (including the ward councillor) voted unanimously to turn Cecil Norris House into a block of flats and maisonettes to house those in housing need. West Sussex County Council’s parking survey (which said there was adequate street parking) was inaccurate, out-of-date and conducted at the wrong time of day, and local residents (some of whom had the expertise to assist the council in designing a building which the town could be truly proud of) were only consulted after the architectural plans were at the very last stage of production when few changes could be made. 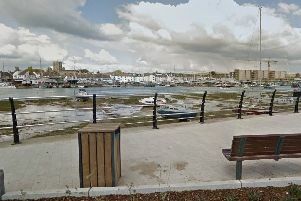 So now Pond Road: let us hope our councillors properly consult with all those who have good ideas to contribute and ensure a flagship development which the residents of Shoreham and visitors to the town can be truly proud of. If not, there are elections next May and the people should elect the representatives who can.